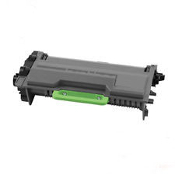 Order high performance compatible Brother HL-L5000, MFC- 6800 TN850, TN820 and keep your printer working perfectly. Our TN850, TN820 is in stock and ready to ship. We offer free same day shipping, 100% customer satisfaction, BBB A Plus rating. At USA Imaging Supplies, We work for You! Call us at 619-684-5241 with any questions.